Many people dislike the process of buying a mattress in store. You have to spend an hour lying on different mattresses, many of which probably feel similar, and you’re inevitably peppered with a million questions from salespeople. If you’re not particularly picky about your mattress, you might want to consider buying a mattress online. There are quite a few retailers that solely sell mattresses online, and if you can get past the major downside of not being able to test the mattress, you might be surprised at how easy and efficient the process is. Most online mattress companies have generous trial periods, return policies and warranties. They’ll deliver the mattress right to your door, and many will facilitate returns, as well. However, unlike many traditional mattress retailers, online mattress companies won’t haul away your old mattress, so you’ll have to get rid of it yourself. The following are some of the best online mattress companies that are making it easier than ever to get a good night’s sleep! Perhaps one of the best-known online mattress companies is Casper, which offers three different mattress models, ranging in price from $600 to $1,850 for a queen size. One of the aspects that makes Casper unique is that the brand has a dozen stores around the country where you can test out their mattresses before you buy. Casper has a range of hybrid foam mattresses to choose from, starting with The Essential, an incredibly affordable no-frills model, and working up to The Wave, their “most advanced” mattress featuring Hyper-Targeted Support for pressure relief and ergonomic spinal alignment. Reviewers say the mattresses are comfortable and supportive, thanks to their “zoned support,” meaning the mattress is firmer under your hips and softer under your shoulders. When you purchase a mattress from Casper, they’ll ship it to you for free, and you get to test it out for 100 nights. If you decide you don’t like the mattress, Casper will pick it up free of charge and issue a full refund. The company often donates returned mattresses, and every product comes with a 10-year limited warranty. Depending on where you live, you may also be eligible for Casper’s White Glove Delivery, where they will set up the mattress and carry away your old one, as well as any boxes and packing material. This service is an additional $100 ($75 if you live in certain parts of NYC or LA), and mattress removal is an extra $50. If you want a mattress that’s tailored to your individual sleep preferences, you should look into Helix, an online mattress retailer that customizes its products based on a short Sleep Quiz. Helix even allows you to enter sleep preferences for your partner, and you can get a mattress that’s either blended to address both your sleep needs or that has two separate sleep zones. A custom-built queen-size mattress from Helix costs $995, but additional features like the Dual Comfort zones cost extra. Every mattress can be customized based on the Sleep Quiz, which asks about your height, weight, preferred sleep position, preferred firmness and more. The quiz will produce personalized recommendations in four areas — feel, support, temperature regulation and point elasticity — to provide a mattress that’s just right for you. Like other brands, Helix offers free shipping and a 100-day sleep trial. If you’re not happy with your purchase, they’ll arrange to have the mattress returned and give you a full refund. Overall, most reviewers agree Helix mattresses are comfortable and say they would recommend the brand. Several people also mention that the company’s customer service is excellent! If you’re looking for a high-quality memory foam mattress, you should check out Leesa, an online mattress retailer whose memory foam option has more than 10,000 5-star reviews — that’s a lot of happy customers! Leesa offers two mattress options: the Leesa, a memory foam mattress that costs $940 for a queen size, and the Sapira, a pocket spring mattress that goes for $1,475. The Leesa features several performance foam layers that “deliver cooling bounce, contouring pressure relief ​and core support,” and reviewers can’t seem to get enough of this product, saying it’s firm and supportive yet incredibly comfortable. When you order from Leesa, the mattress will be shipped for free, and you’ll be able to test it for 100 nights, risk-free. If you don’t like the product, Leesa will pay for the return and offer a full refund. One factor that sets Leesa apart from competitors is their dedication to giving back to the community. For every 10 mattresses sold, the company donates a mattress to nonprofits that help homeless and at-risk people, and this philanthropy is a selling point for many reviewers. You may have heard of Purple, an online mattress company that claims to have created an amazing new mattress to solve your sleep woes. The premise of Purple mattresses is that they support your back like a firm mattress but cradle your hips and shoulders like a soft mattress, giving you the best of both worlds. Purple only sells one style of mattress, and it costs $999 for a queen size. They’ll ship your mattress for free, and you can test it out for 100 nights to see if you like it. If you opt to return the mattress, Purple will issue a full refund. All their mattresses also come with a 10-year limited warranty. Reviewers have a lot of positive things to say about Purple mattresses, including that they stay cool at night and notice fewer sleep-related aches and pains. Some reviewers do note that if you’re transitioning to Purple from a soft mattress, it may take some time to get used to the adjustment. One of the most budget-friendly options when it comes to buying a mattress online is Tuft and Needle. While this company only offers one style of mattress, you’ll be impressed with the quality of the product and the incredibly affordable price. A queen-size mattress from Tuft and Needle costs just $575. The company’s mattresses are made with adaptive foam for pressure relief and have a 7" support layer, as well as a cooling gel for temperature regulation. Tuft and Needle offer free shipping, as well as a 100-night trial period and 10-year limited warranty. If you choose to return the mattress, you’ll get a full refund and the used product will be donated to charity. Reviewers note that Tuft and Needle mattresses are on the firm side, so if you like a super soft bed, this might not be the best option for you. Overall, most people agree the mattresses are comfortable and amazingly priced. A few do note the product may have a chemical odor when first unwrapped, but it disappears in a few days. Can’t decide between a firm mattress or a soft one? With Oso, you don’t have to! This innovative mattress includes both soft and firm options — all you have to do is rotate the mattress 180 degrees to switch between the two. 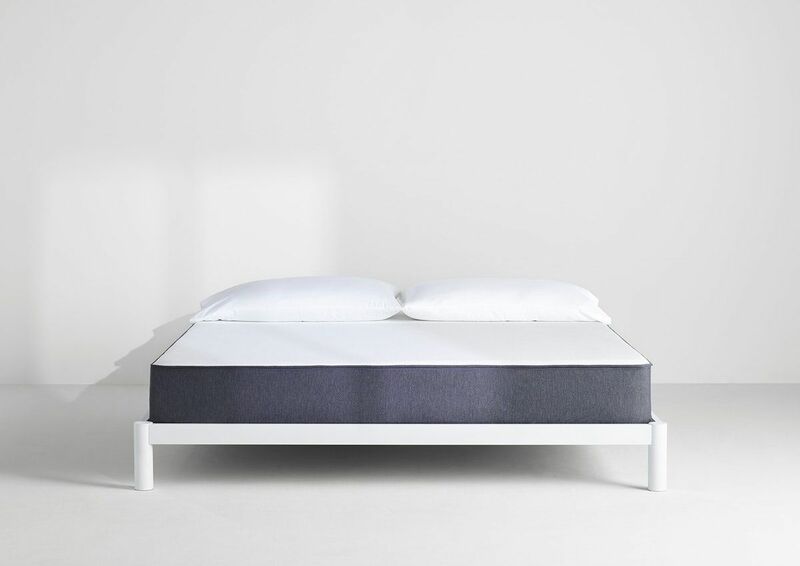 A queen-size mattress from Oso costs $925, and it’s made up of several carefully designed foam layers, topped with a removable cover that can be washed. Oso mattresses include a special section of durable foam springs that allow you to switch between more or less support simply by rotating the product. Shipping is free, and you can test out the mattress for 101 days. Further, Oso products come with a 10-year warranty. Perhaps the most compelling factor when it comes to Oso are the rave reviews from happy customers. While the company doesn’t have as many reviews as bigger brands, the overwhelming majority of their reviews are 5-stars. Users say Oso mattresses are amazing thanks to their versatility and comfort. Many also love that the company uses non-toxic materials in their foam layers. Mattresses from Bear are specially designed with fitness lovers in mind. These products are made with Celliant's FDA Determined Infrared Yarn Technology, which harnesses the body’s natural energy to expedite recovery times after a tough workout — cool, right? Bear offers two mattress options: the Bear Mattress and the Bear Hybrid, which cost $895 and $1,350 for a queen size, respectively. Both are made with the patented Celliant covers, and the Hybrid includes an additional layer of adaptive performance foam, as well as a coil system. 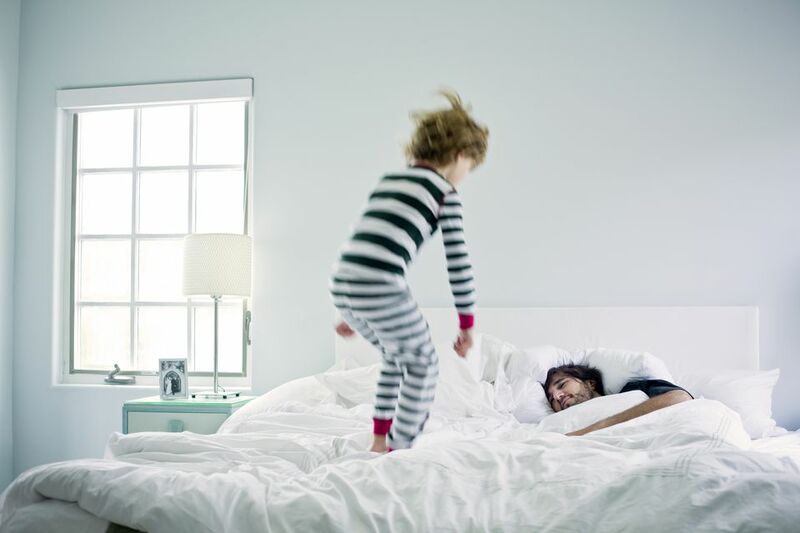 Bear mattresses ship for free and have a 10-year warranty, and you’re afforded a 100-night risk-free trial, after which you can return the product for a full refund. Bear has thousands of reviews from happy customers, including many from fitness-oriented individuals who say the mattress does seem to improve their recovery. However, several note that Bear mattresses are firm, which can be uncomfortable if you sleep on your side. If you struggle to maintain a comfortable temperature in the bedroom, the 4Sleep mattress might pique your interest. Thanks to this product’s unique construction and special cover, it dynamically captures and releases heat to keep you at an optimal sleep temperature of between 87 and 90 degrees. A queen-size mattress from 4Sleep costs $899 and comes with free shipping and a 10-year warranty. The mattress is made from a unique gel memory foam that’s paired with a “Cooling on Demand” cover — the perfect combination for temperature regulation. Another unique feature of this foam mattress is its edge-to-edge sleeping, which basically means you can sleep near the edge without feeling like you’re going to fall off. As is standard, 4Sleep lets you try the mattress for 100 days, and if you’re not satisfied, you can return it for a full refund. Reviewers say the product is firm, but many note it stays cool, even in the summer, and facilitates a great night’s sleep! If you don't think you'll be able to finagle a mail-order mattress out of its box and onto a bed frame yourself, Saatva could be a great option. Each mattress purchase comes with free white glove delivery, meaning real humans will bring the mattress to your home, unbox it, and set it up wherever you want so you don't have to lift a finger or strain your back. They also will remove your old mattress. Saatva offers soft, firm, and their signature luxury firm mattress types. They also sell adjustable bases for an additional cost. These bases have massage and support features so you can sleep in a position that feels most comfortable for you.